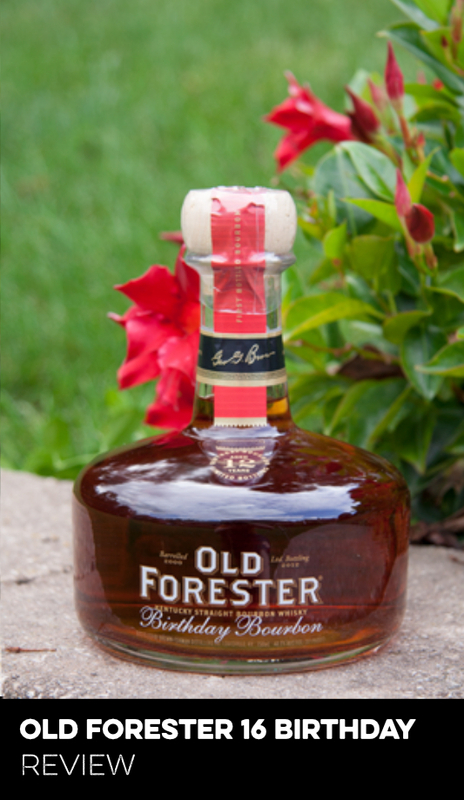 The 2018 release of Old Forester Birthday Bourbon marks the 18th release of the series. 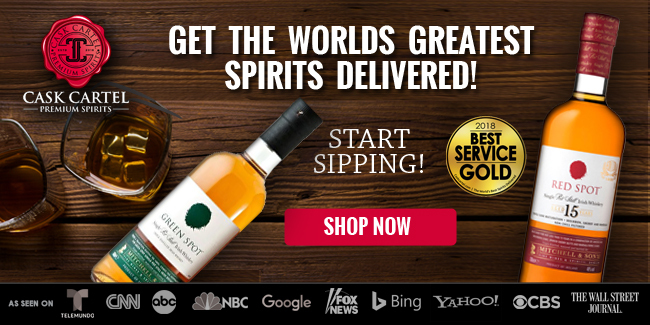 Its 101 proof is the series’ highest proof to date. The 2018 edition is comprised of 120 barrels, which according to Brown-Forman consists of 93 barrels matured together on the 3rd floor, on the Northwest side of Warehouse J. The remaining 27 barrels matured together on the 3rd floor, on the Northwest side of Warehouse I. This year’s bottling had an unusually low yield of just 39%, and 5 barrels were actually found to be empty, resulting in 14,400 bottles being released. 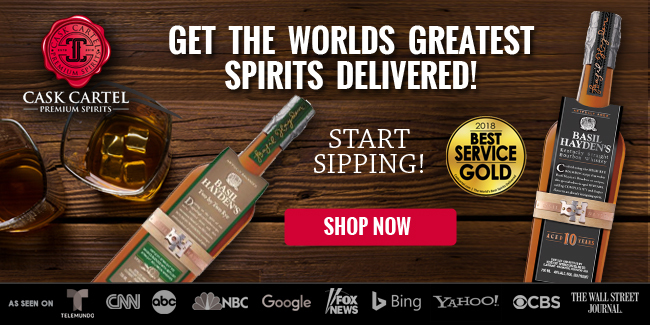 This is also the first time the series was bottled at the the new Old Forester Distilling Co., located in downtown Louisville. The slight bump in proof this year really shines through right from the beginning. Rich and deep, the nose on this year's edition continues the tradition of this series delivering a great experience. Sweet dark berries, caramel, brown sugar, and oak make for a dynamic mixture that impresses from first whiff. Beneath these scents lies a slight hint of spice, which blends nicely into the overall experience. 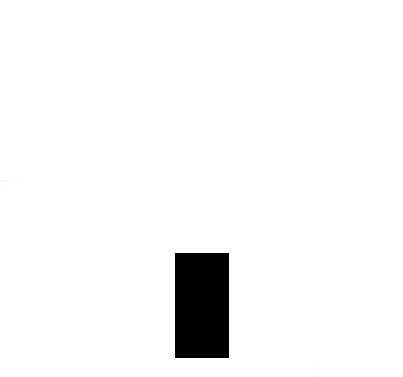 The sip itself is less viscous than one would expect after the rich nose. Despite the thinner mouthfeel, the sweet flavors still carry over nicely from the nose. Dark berries appear again and are joined by vanilla, baking chocolate, rye grain, and light oak. While good, the palate leaves you wishing that all the flavors had just a bit more of a pop than what they actually deliver. The finish starts with a a touch of heat. Caramel, light oak, tobacco leaves, green pepper, and rye spice are predominant. The caramel and rye spice eventually drop off, leaving a pleasant mixture of oak and tobacco leaves. This finish lingers for a surprisingly lengthy amount of time. 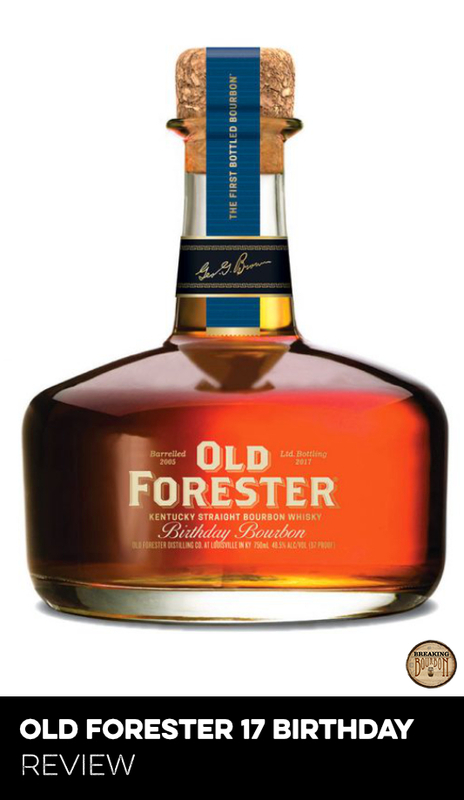 Birthday Bourbon always has a distinct flavor profile from the rest of the Old Forester line. Aged longer than its siblings, the additional time in wood allows it to acquire a richer flavor profile that is distinctly different from the rest of the Old Forester lineup. 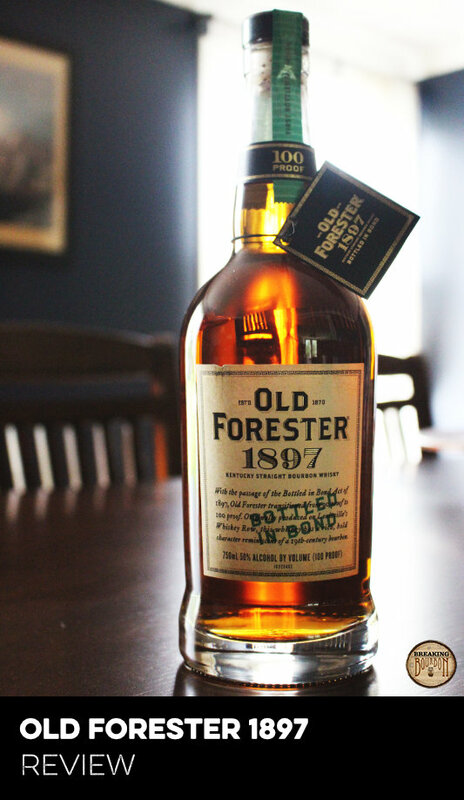 It may not deliver the boldest experience of the lineup thanks to the ongoing release of Old Forester 1920, but the series delivers a rich experience that has yet to be duplicated in an ongoing Old Forester release. The proof increase this year is a welcome sight. It doesn’t have as large of an impact on the depth of the palate as I was hoping for, but it nicely enhances both the nose and the finish. It’s a trend I’d like to see continue in future additions. 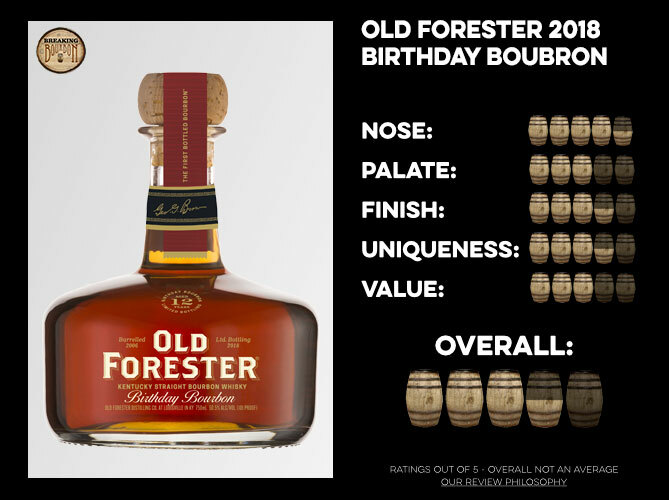 Over the last number of years, Brown-Forman has slowly been raising the price of their Old Forester Birthday Bourbon series. While the price held steady in 2017, it jumps up $20 this year marking the first time that the series hits the $100 mark. 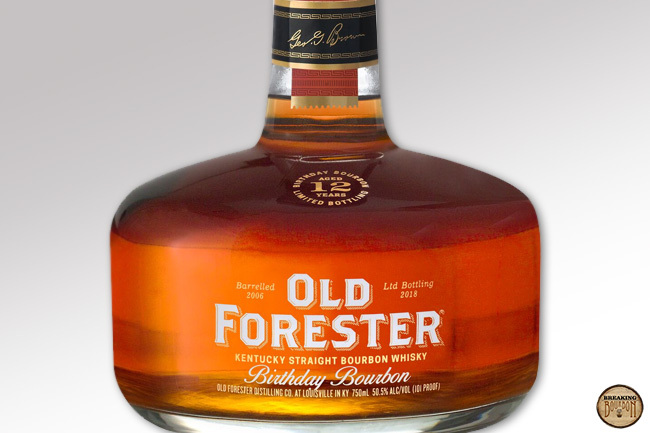 This now makes it the highest priced product bearing the Old Forester name. 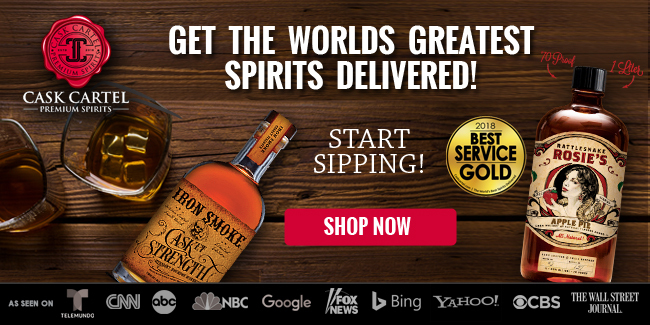 This also aligns it with the price point that Brown-Forman usually charges for their Woodford Master’s Collection products. It can be painful to realize that this product cost almost half of its current MSRP just five years ago. However, many product's prices have increased steadily over the years, and it’s now commonplace for limited release products to be priced at $100 or more. Given this year’s flavor profile, the $20 price increase is hard to complain about, since the whiskey delivers an experience that matches many of the great limited offerings we’ve experienced in 2018. 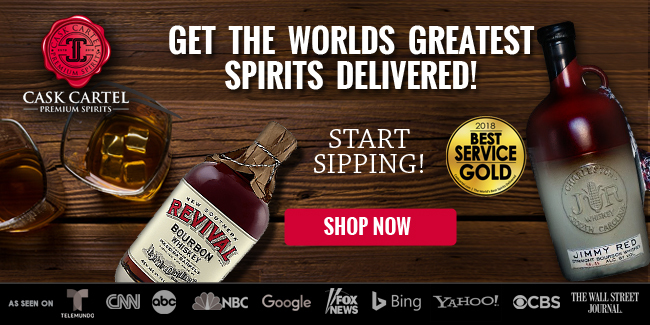 Even with an increase in price, this year’s edition of Birthday Bourbon is worth the price of admission. This year’s Birthday Bourbon is once again a solid performer. The nose is as satisfying as ever, and the finish lasts longer than most other bottles on the market. While the palate leaves me wanting a little more pop, the sip as a whole is really great. It doesn’t quite live up to the fantastic 2011 and 2012 editions of years past, but it certainly delivers a satisfying experience as the past few editions have. In the end though, it doesn’t really matter what the bottle shape is. 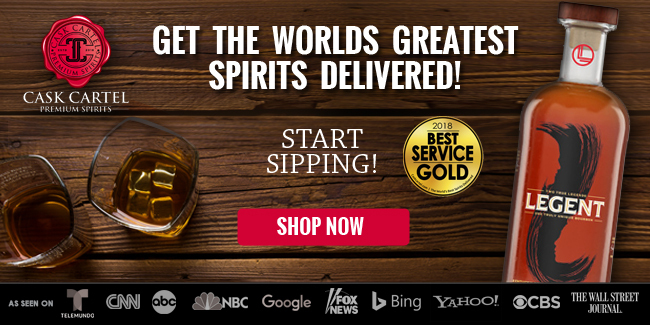 The bourbon is great, and worth its asking price. The biggest shame is how few folks will stumble upon one in a store. For those that do though, make sure to open this one up as you’re in for a treat. 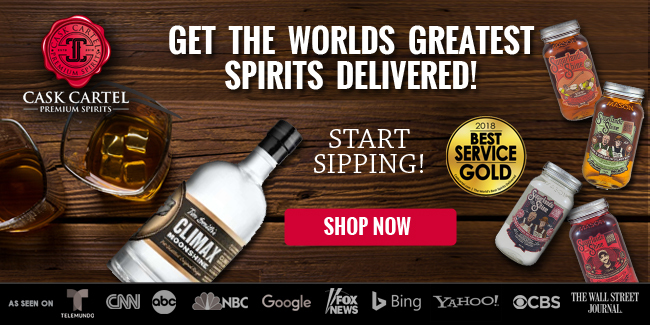 ‍The sample used for this review was provided at no cost courtesy of Brown-Forman. We thank them for allowing us to review it with no strings attached.